Church chairs with arms provide comfort and support to your congregation. 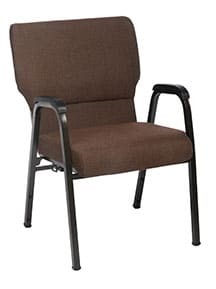 We offer optional arms on two of our best-selling church chair models. 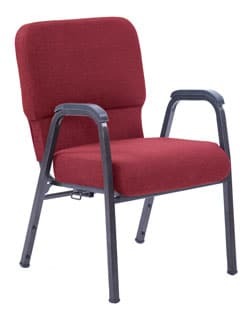 Church chairs with arms are often the most comfortable option for your congregation. Two of our most popular chair models, Jericho and Genesis, come with the option of strong and supportive arms. These models come standard with all the high-quality features that set our products apart. They can even be ganged together in straight rows, similar to what you get with theater seating, while still maintaining the desirable flexibility you get with stackable church chairs. If you are interested in this option for your church, be sure to request a sample of the arm chair of your choice.